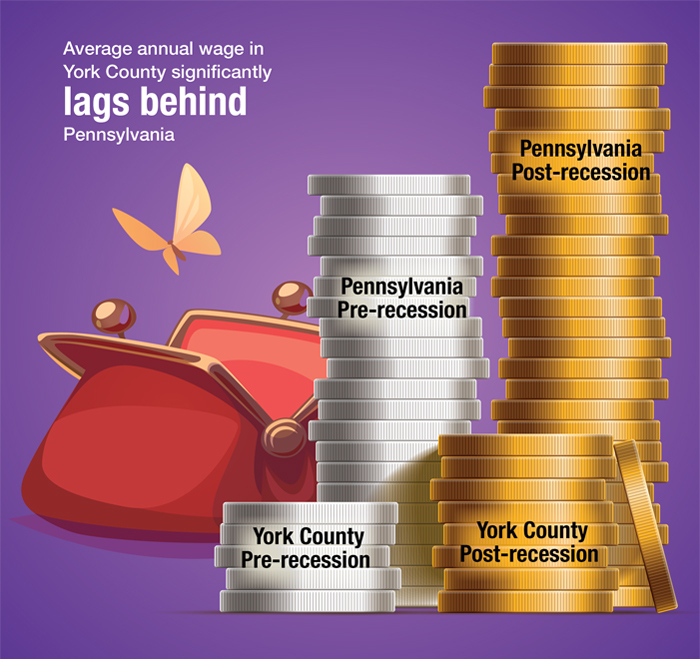 York County is rebounding from the 2008 recession in many ways, yet annual household income and unemployment have not returned to pre-recession levels. The manufacturing sector made a slight rebound in 2015 in revenue and employment; the wholesale and retail trade, transportation and warehousing sector continues to employ the highest percentage of workers in York County. There is a significant income gap by race in York County and the number of children in poverty continues to increase.